We need more art. Real graphic design. That’s not how the web works. Simple HTML It ’s !e web! The Web It ’s !e web! CSS It ’s !e web! Layout in CSS? It ’s !e web! Absolute Positioning It ’s !e web! Fluid Layouts using Floats It ’s !e web! It ’s !e web! We n"d a#! Responsive Web Design It ’s !e web! Responsive Web Design *now more better. 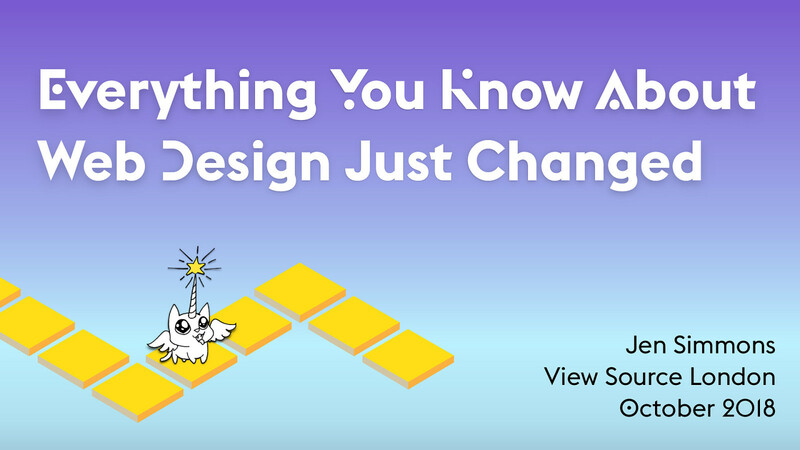 View Everything You Know About Web Design Just Changed on Notist.